Comrie is THE place for live Music in the area. 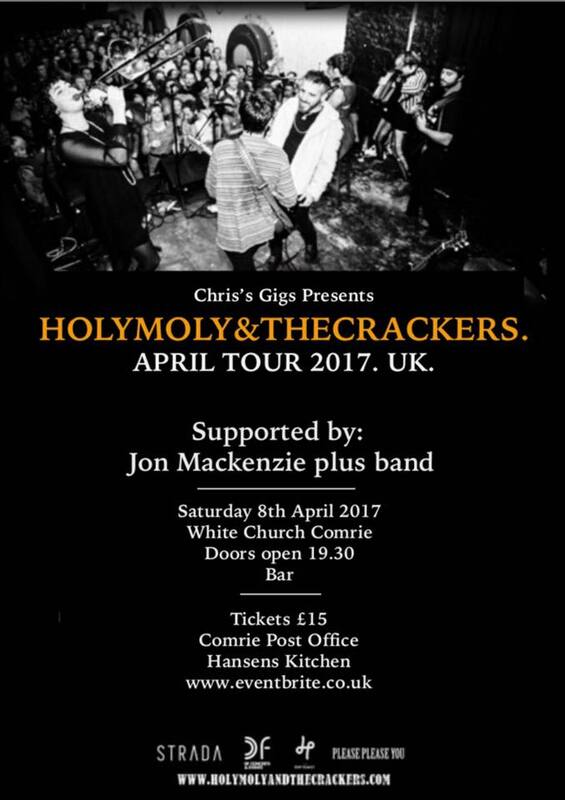 The mega powered 7 piece Newcastle based ‘gypsy folk rock’ band HOLY MOLY and the CRACKERS are coming our way on their national tour. They’re hard to classify as they play such a great mix of music borrowing from rock, reggae, ska and a little bit of folk! They’re fabulous musicians and a whole lot of fun! The gig opens with the ace Holy Ghost guitarist, Perth lad Jon MacKenzie and his new band. Whatever you do, don’t miss it! !